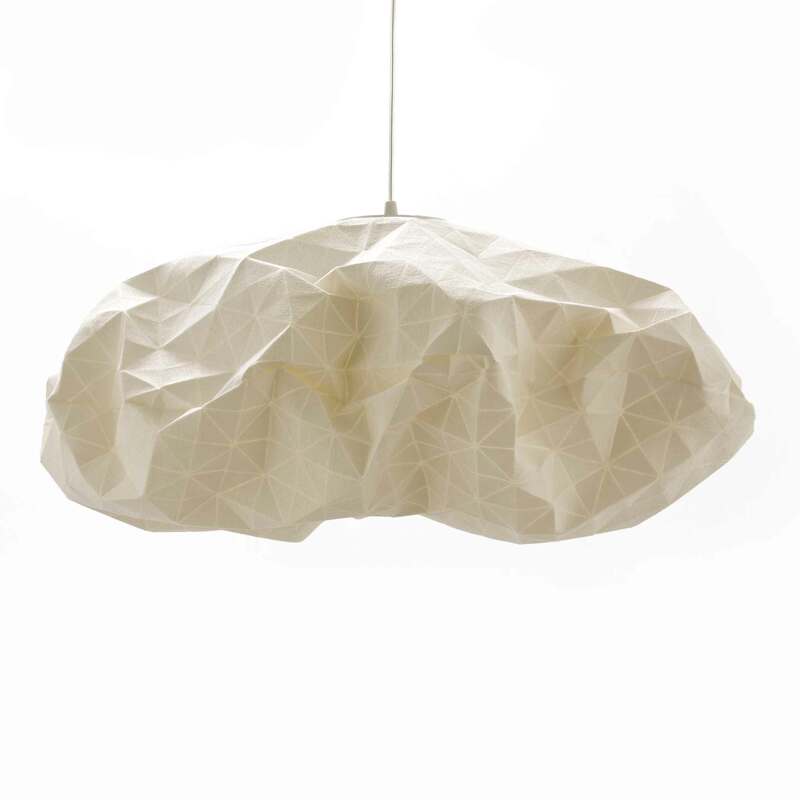 White cloud pendant lamp, origami inspired hanging light. Ori model. 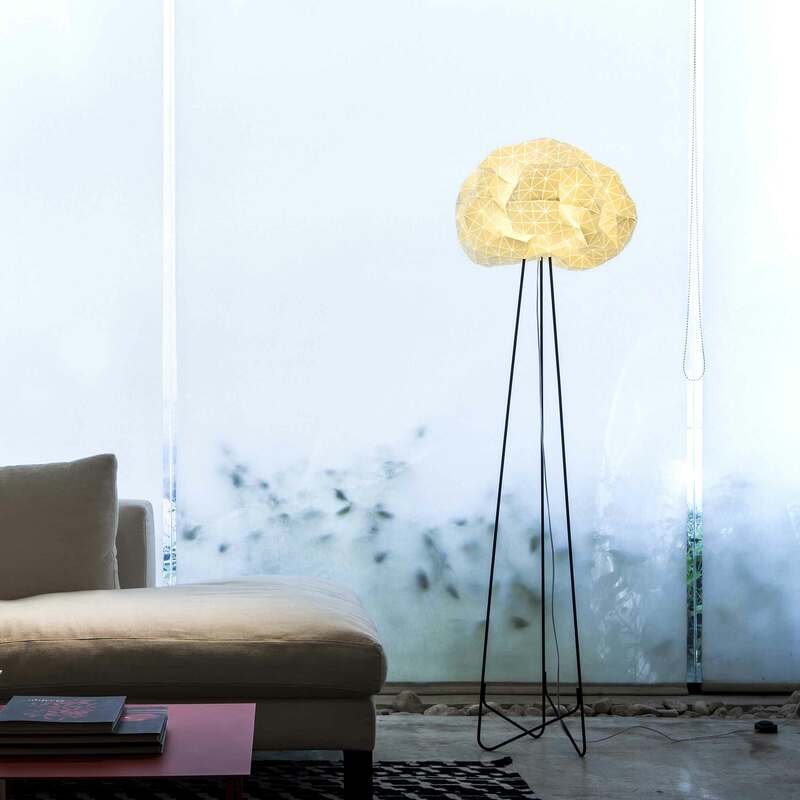 The Ori seems to levitate to create a cloud of light in your space. 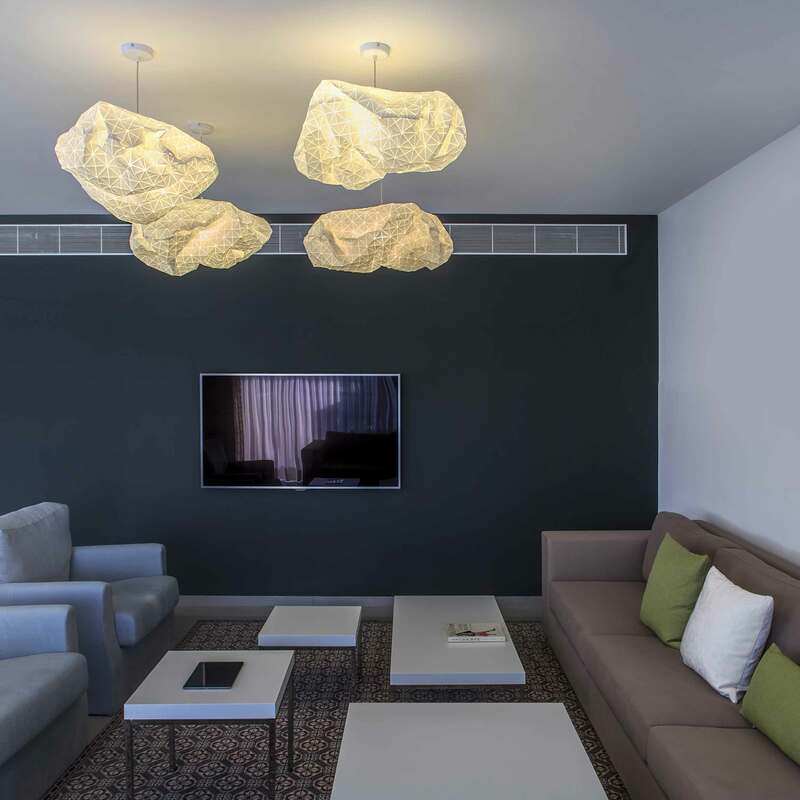 It has intuitive design that enhances your space; the shade itself is removable, machine washable and has a zip for easy bulb change. 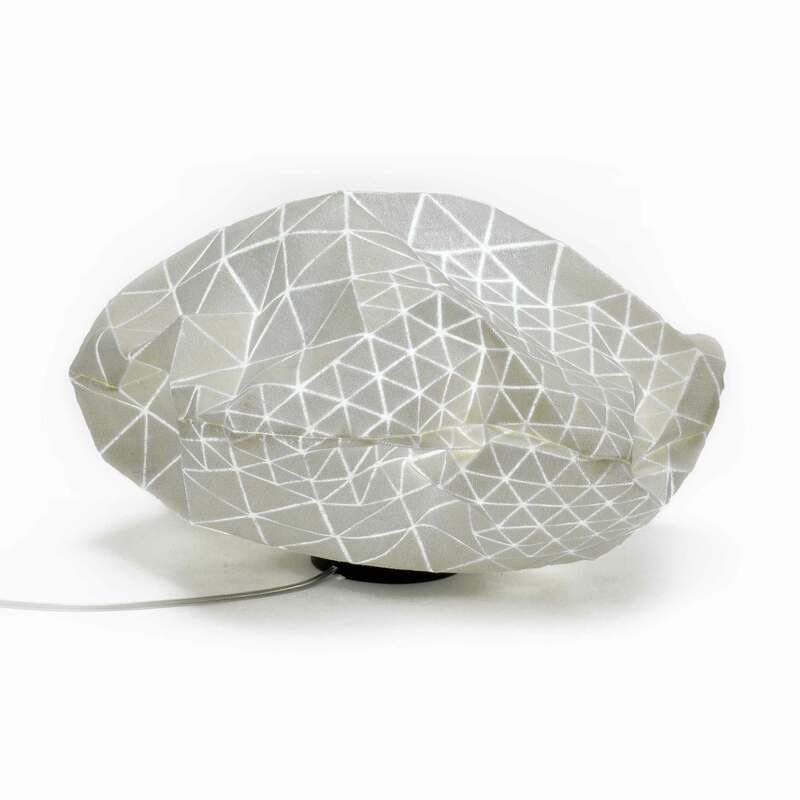 Made in Collaboration w/ Studio Products. 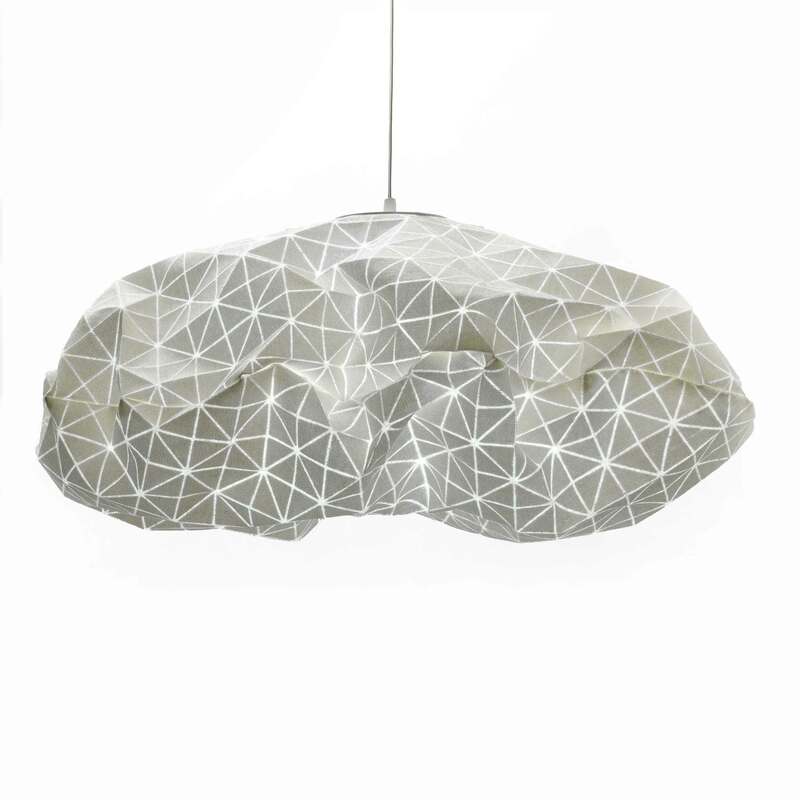 Materials: Lampshade: printed cotton, inner metal construction. — Comes w/ US/EU Plug and 2 M cable, along with plate and screws for ceiling.